Yesterday evening, the news broke that Mark Hamill of Star Wars and Joker fame will be the new Chucky in the upcoming Child’s Play reboot. And in a recent Twitter post, the actor has offered an early taste of the killer doll’s latest voice. In a short video addressed to WonderCon attendees, Hamill declares that he “can’t wait to bring such an iconic character to life, and present him in a way you’ve never seen him before.” The star then signs off his message with a reminder that Chucky is “more than just a toy. He’s your best friend.” At this point, the video lingers for a couple of seconds on the image of Hamill holding a sinister smile. While the new Child’s Play has been met with even more backlash than your average horror remake, Hamill’s involvement is sure to earn the curiosity of a few skeptics. In the 1988 original, Brad Dourif not only provided the voice of Chucky, but also appeared onscreen as Charles Lee Ray, the serial killer who transfers his soul into the doll. Since the reboot is doing away with these voodoo origins and instead writing Chucky as a psychotic A.I., it remains unclear if Hamill will also be going in front of the camera. Perhaps he could play the original human who provided the voice for the Buddi doll? 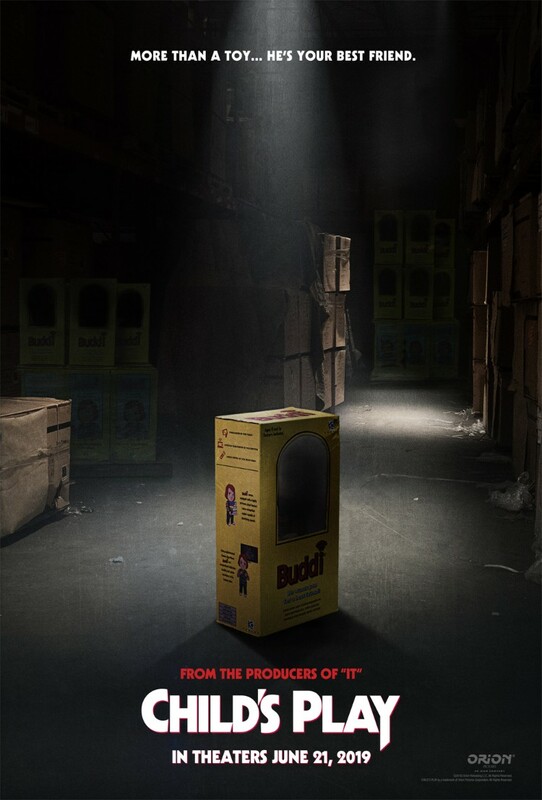 Regardless, it must be said that the Child’s Play reboot has put together a pretty endearing cast, which also includes Aubrey Plaza of Parks and Recreation and Ingrid Goes West fame, as well as Atlanta and Spider-Man: Into the Spider-Verse actor Brian Tyree Henry. We’ll find out if horror fans can get on board with the new line-up when the film hits theaters on June 21st, 2019.